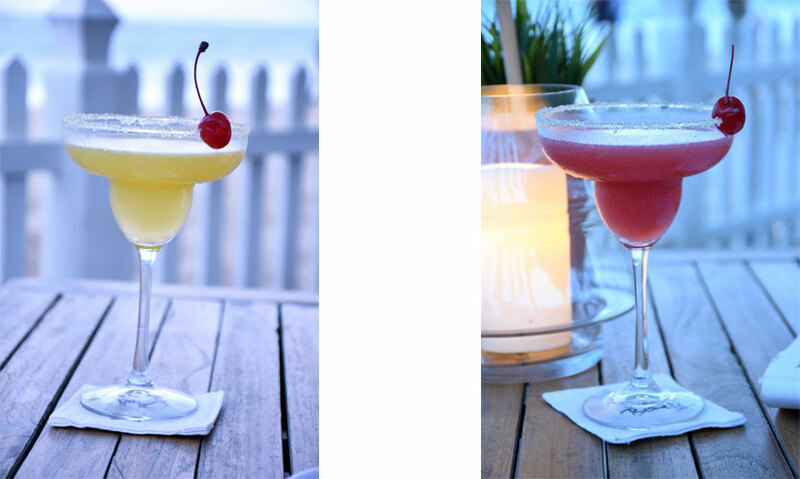 Beach, sand, sunsets and cocktails, Sugar Beach is perhaps our favourite seaside restaurant in Colombo. Located on the Mount Lavinia beach, Sugar Beach faces a clean and unpopulated portion of the beach so you get an unrestricted view of the sunset and the waves. 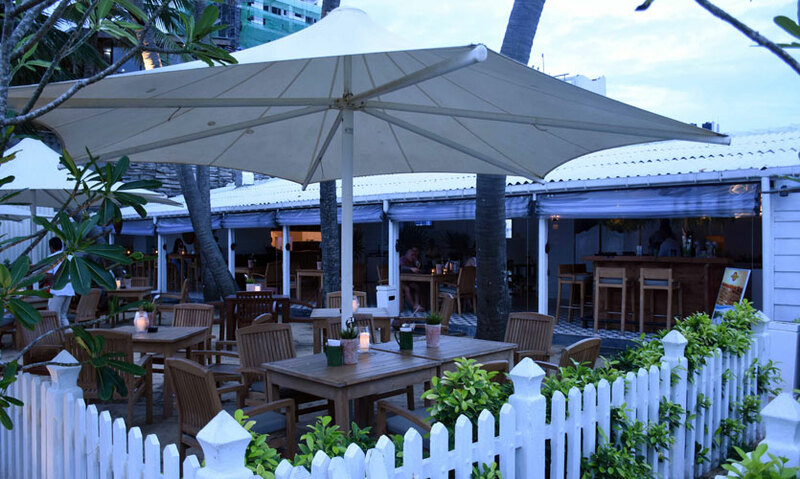 Decked up in white, Sugar Beach stands out among the other restaurants on the beach stretch with its laid-back interior. 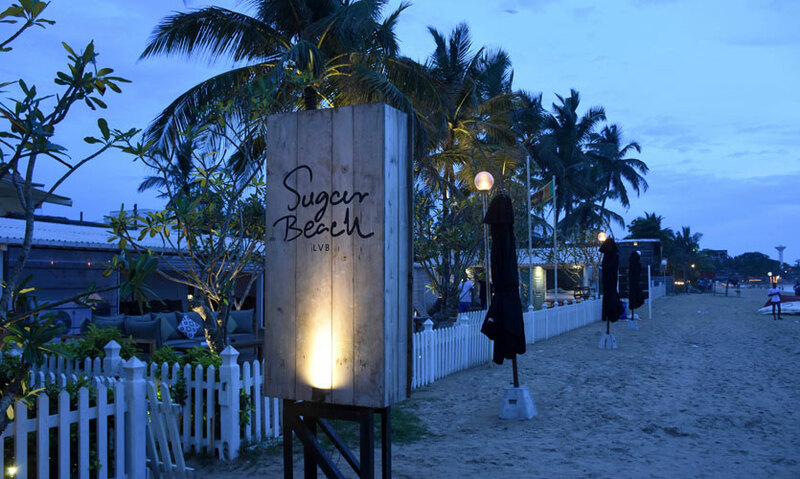 With both an indoor and outdoor seating area and a furnished outdoor lounge, the ambience at Sugar Beach creates the perfect atmosphere to wind down, relax and enjoy a day at the beach. The drinks menu at Sugar Beach reflects that of their Sugar Bistro restaurant with juices, smoothies, teas and a variety of alcoholic cocktails and drinks. We tried their Passion and Strawberry Margaritas and loved the subtle flavours. We also tried their Cookie and Cream Milkshake (Rs. 500) which is a smooth blend of Oreos in milk and cream. The menu at Sugar Beach is fantastic because it caters to just about anything you are craving. 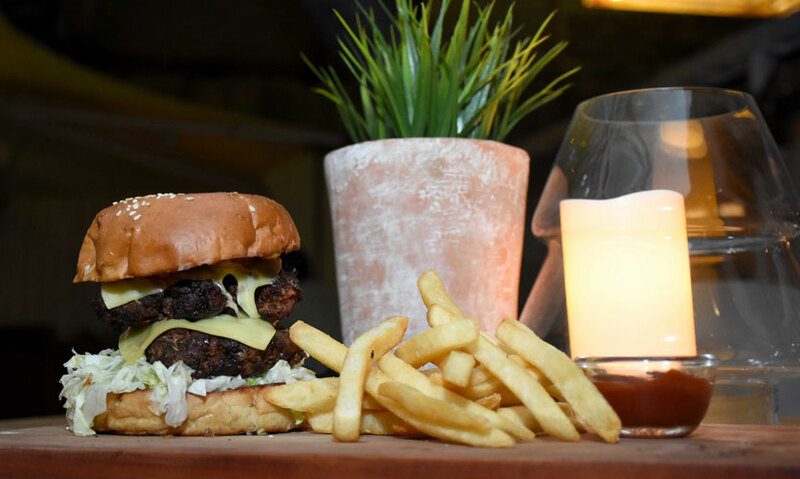 From brunch to pizza, from appetizers to local twists, from their signature burgers to their healthy salads their menu invites you to go crazy and order just about everything… which is exactly what we did! 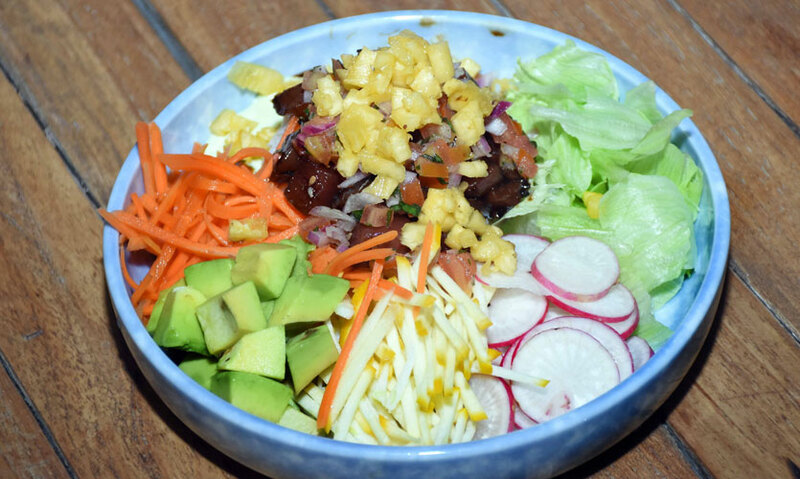 Tuna Poke Salad (Rs. 1300). The salad has Hawaiian style marinated tuna on a bed of rice, radish, carrot, avocado, zucchini noodles and is served with a zesty wasabi mayo. The Hawaiian marinate had a touch of spice that we loved and when mixed the flavours were explosive. From their small plates, we opted to try out their sushi because it’s something new and exclusive to Sugar Beach. 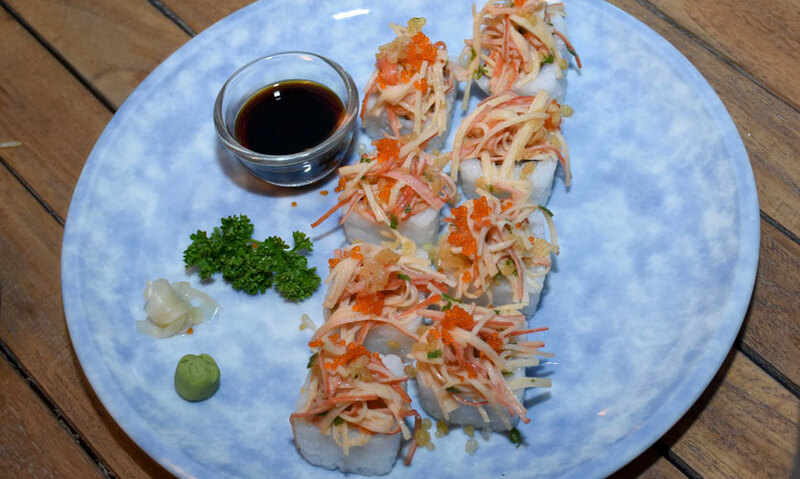 The Volcano Maki comes in 8 pieces with a spicy crab meat and tempura shrimp filling and topped off with fish roe and served with a side of wasabi and soy sauce. The rice was a little stiff and lumped but the filling was delicious and we had even though it’s a ‘small’ plate, it filled us up completely! 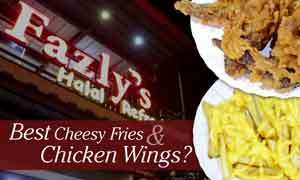 We’d definitely recommend it as a main dish for one person. 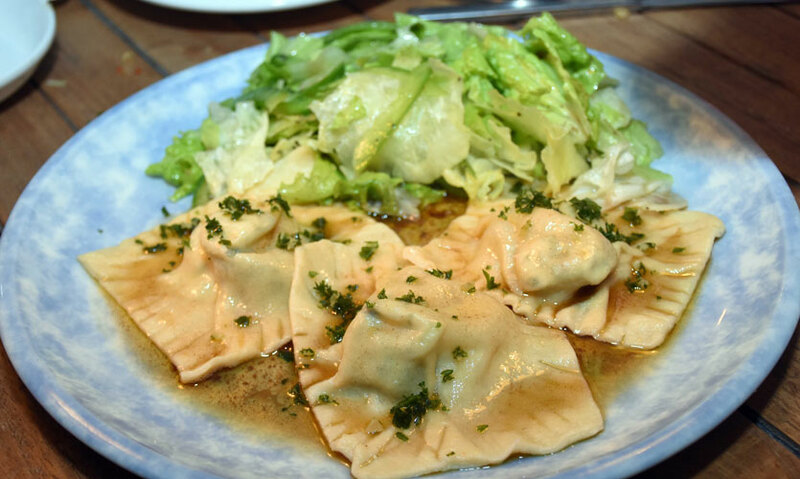 Their Homemade Ravioli is a great vegetarian dish stuffed with ricotta and spinach. It’s served in a burnt butter and a fresh garden salad. The ravioli was soft and the stuffing was great but it’s the burnt butter infused with sage that really brought out the flavours of the dish. This we tried purely because we were curious as to the dish behind the name. 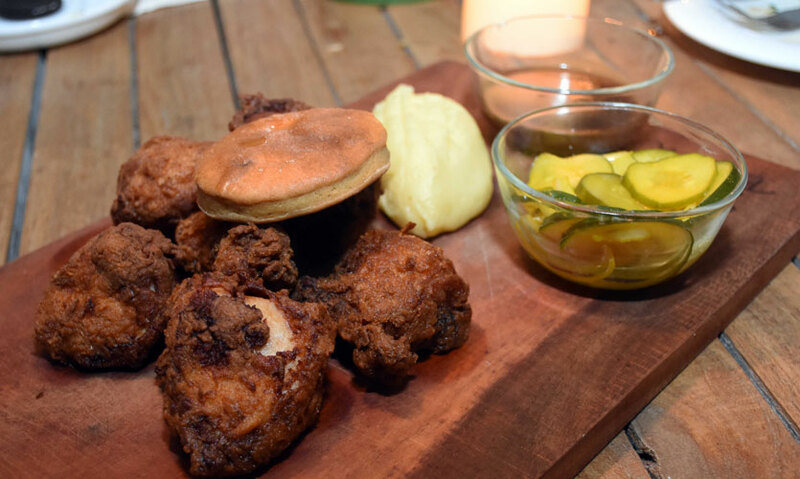 The Dirty Bird is essentially KFC like fried chicken served with mash and a pickle. The chicken had a crispy skin made with buttermilk and the mash was smooth and creamy. Served with a flavoursome homemade gravy, the Dirty Bird is essentially like a fish and chips dish; you can’t go wrong if you order it! 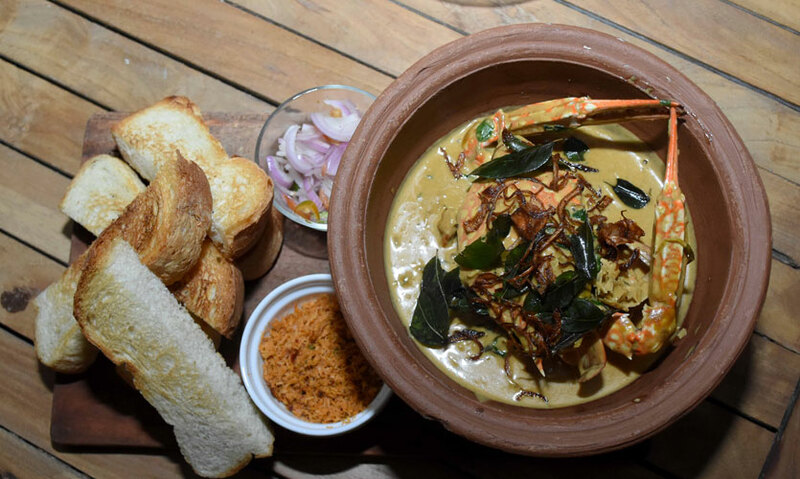 The Local Flavours section of the menu has some of their old time favourites like their Crab Kottu and the Batticaloa Prawn Curry but had also introduced new local flavours like the Sri Lankan Crab Curry which was hands down, our favourite dish among everything. Somewhat similar to their Batticaloa Prawn Curry the Crab Curry had the same look, texture and taste. Served in a medium size clay pot with a massive full crab jutting out, the Crab Curry was divine. Accompanied by local roast paan, butter and pol sambol, this dish is quintessentially Sri Lankan. Don’t expect to look graceful while eating this dish though, it’s messy and requires the use of both your hands to dig in and enjoy the flavours but trust us when we say it’s well worth the mess. 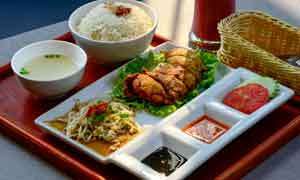 Moreover, the dish is ridiculously reasonable considering the portions they give. Sugar is famous for their speciality burgers and we couldn’t wait to try the Sugar Beach speciality burger. The Ultimate Beach Burger is a humongous burger with a double beef patty and double cheese. The beef patty had a crisp outside but was succulent and juicy inside and the double cheese oozed from the burger. Served with crisp chips, the Ultimate Beach Burger didn’t disappoint. Sugar Beach also introduced a range of homemade thin crust pizza’s which we think is the ideal ‘by the beach’ staple. 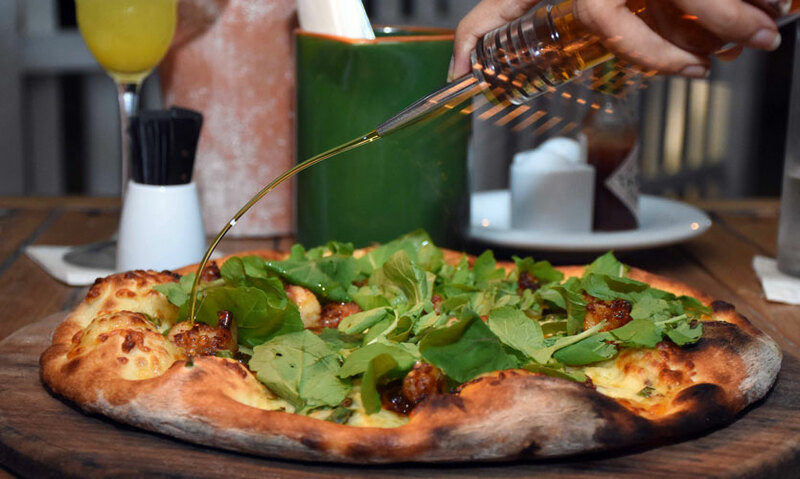 We tried their Prawn Star pizza with garlic chilli prawns topped off with mozzarella and rocket leaves and garlic oil to be generously slathered over it. The thin crust pizza slightly burned at the edges was perfect and the garlic chilli prawns added a spice to the pizza that we enjoyed. Does one ever finish a visit to Sugar without their speciality desert; churros? 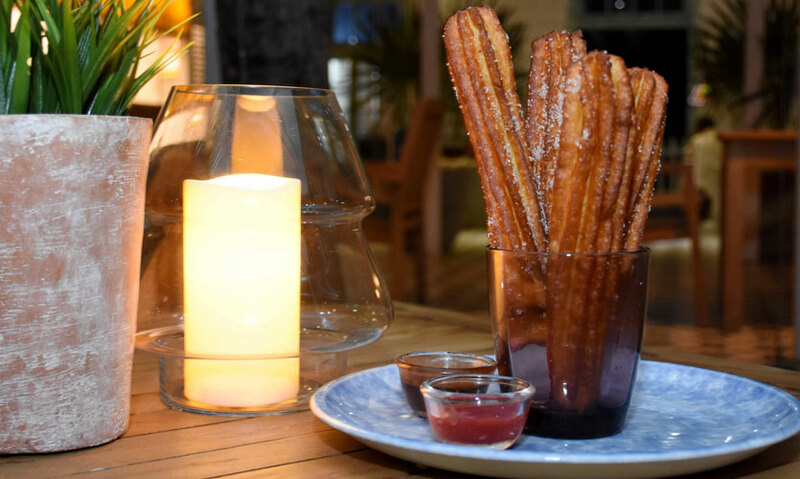 The churros seem to have grown bigger since we last tried it and we have no complaints. 4 hot, fresh out of the fryer churros slathered in cinnamon sugar was served with their chocolate and strawberry sauce and we loved it! It’s our favourite dessert from Sugar and Sugar Beach didn’t disappoint. For Rs. 500 we think this dessert is a steal and a must try; even if you are stuffed! WHAT WE RECOMMEND – Definitely their Crab Curry and their Churros! The service at Sugar Beach was excellent. We were waited on by one server who took our orders and took excellent care of us throughout our stay. He was attentive and helpful in helping us select our dishes and made sure that we got our dishes without a delay. PARKING FACILITIES – Because Sugar Beach is on the beach side of Mount Lavinia, the entrance to it was through a narrow road off of Hotel road which stops at a railway crossing so there aren’t many options for a parking space. You’ll have to park elsewhere, cross the railway by foot and enter Sugar Beach. Definitely! 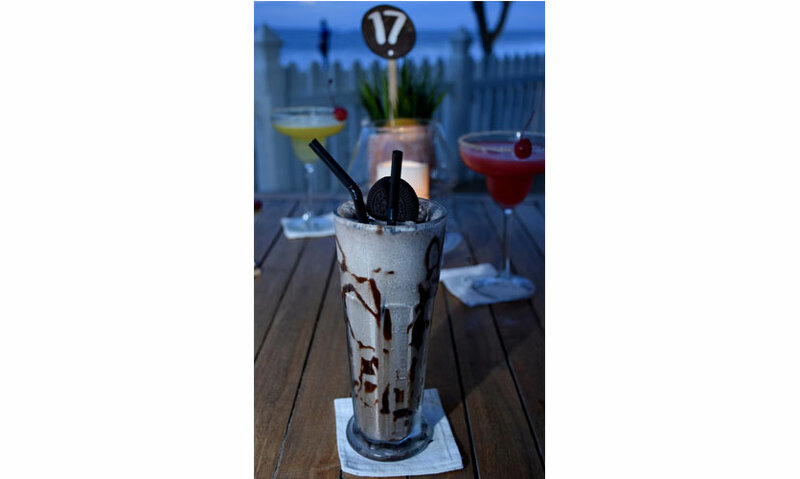 It’s not that Mount Lavinia doesn’t have great restaurants but Sugar Beach brings something new and different to the area; a great place to hang out with great food and good vibes.